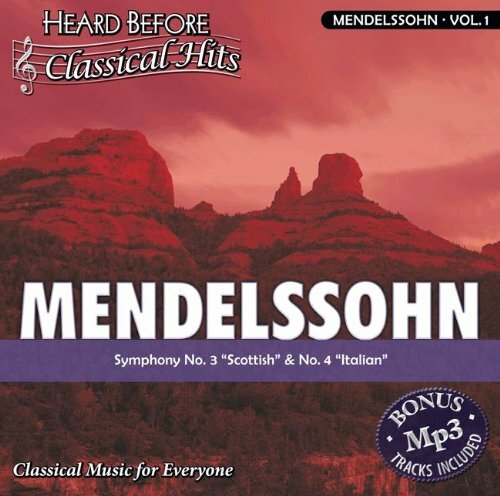 Mendelssohn [vol. 1]: Symphony No. 3 ""Scottish"" & No. 4 ""Italian""
Product prices and availability are accurate as of 2019-04-20 10:09:46 EDT and are subject to change. Any price and availability information displayed on http://www.amazon.com/ at the time of purchase will apply to the purchase of this product. Ever wonder who composed that tune you've heard before? 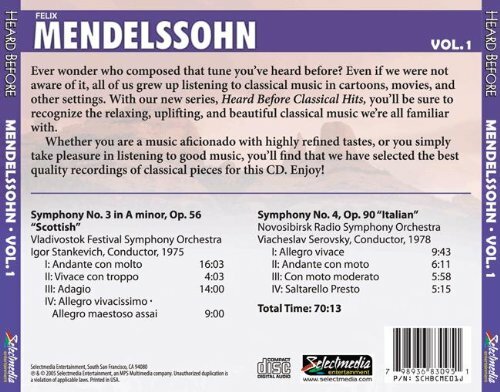 Even if we were not aware of it, all of us grew up listening to classical music in cartoons, movies, and other settings. With our new series, Heard Before Classical Hits, you'll be sure to recognize the relaxing, uplifting, and beautiful classical music we're all familiar with. 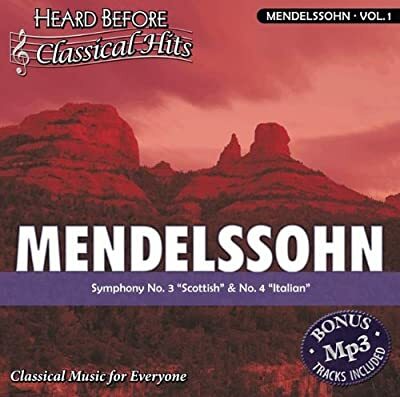 Whether you are a music aficionado with highly refined tastes, or you simply take pleasure in listening to good music, you'll find that we have selected the best quality recordings of classical pieces for this CD. Enjoy!